So it’s going to be a Woptober wedding. Gucci Mane and his fiancée Keyshia Ka’oir will tie the knot on October 17, 2017 — a date near and dear to Gucci’s heart. Gucci confirmed the details on Twitter, tagging his future wife, who responded with a heart and bride emoji. Our date has been set 10/17/2017 ? @KeyshiaKaoir !!!!!!!!!!!!!!!!!!!!!!!!!!!!!!!!! ❤️? ?RT @gucci1017: Our date has been set 10/17/2017 ? @KeyshiaKaoir !!!!!!!!!!!!!!!!!!!!!!!!!!!!!!!!! The number 1017 has been a recurring theme throughout Guwop’s career, appearing in his social media handles and as the inspiration for his 1017 Brick Squad Records label. His Woptober project was also scheduled to come out this past October 17, although it arrived a few days early. The number comes from his grandfather’s address in Bessemer, Alabama. “1017 my granddaddy house,” he rapped on “Decapitated” from 2013’s Diary Of A Trap God. The couple set off some speculation that they’d already exchanged vows a few days ago with an Instagram post of Gucci wearing a diamond ring on his left ring finger with a reference to his “wife” in the caption. 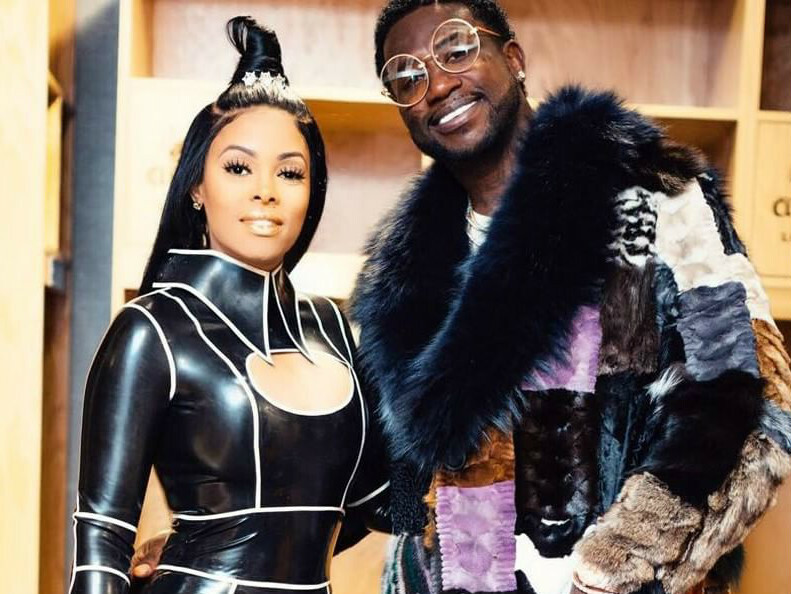 Gucci Mane may not have wasted any time tying the knot with longtime girlfriend Keyshia Ka’oir, according to an Instagram video the Trap King shared today (December 2). The clip shows a huge diamond ring on his left hand ring finger while he’s holding her hand with its own ring on it. The post is complete with him calling the fashionista his “wife” in the caption. This comes just more than a week after Guwop proposed to his ride or die after performing at an Atlanta Hawks game. Ka’oir stuck with her man as he spent more than two years in prison on his most recent sentence for violating probation. The world found out about his release this May through her Snapchat account.